As part of the paid flexible Xtra VIP Membership program, you will save up to 25% on full priced styles and get access to members-only Xclusives. No commitment to buy. The choice is always yours, either Shop or log into your account to 'Skip the Month' by the 5th of each month. If you don’t shop or ‘skip’ by the 5th of the month, your payment method will be charged $49.95 on the 6th until you cancel. Your charge becomes a VIP Member Credit you can spend at anytime. at (855) SAVAGEX (open 24/7). It's totally up to you! Shop or 'skip' by the 5th of each month to avoid a $49.95 charge. All charges become a VIP Member credit that can be spent at any time! NEW XTRA VIP XCLUSIVES Save on your first Xtra VIP Member order. 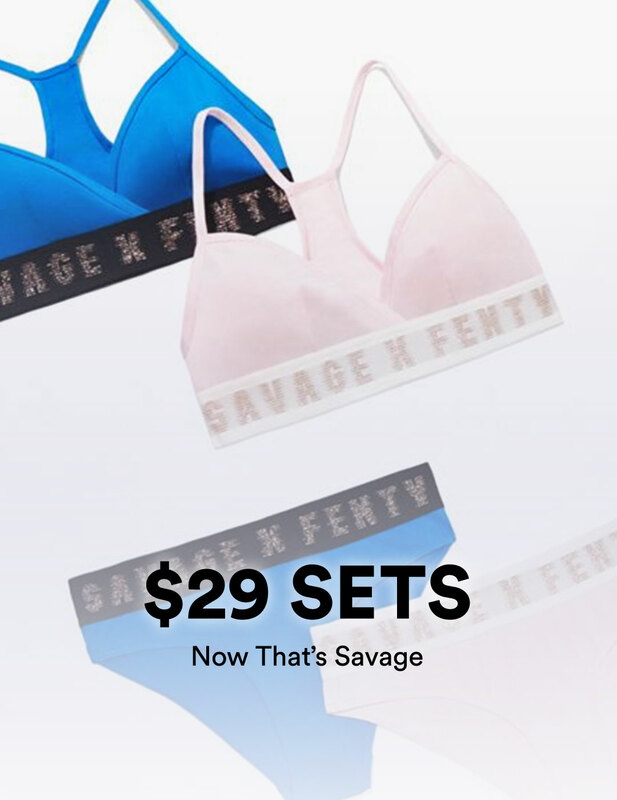 #savagexfenty Join the Savage X Fam!